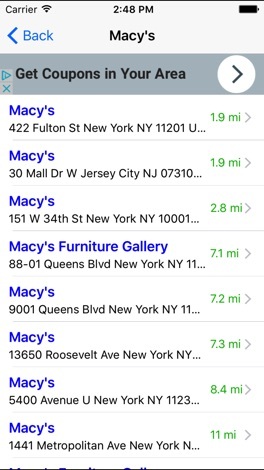 Find the nearest store in seconds! 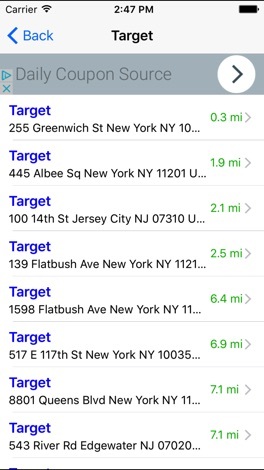 Need to find a Target, Safeway, CVS, or Macy's? How about McDonald's, Old Navy, or Gap? 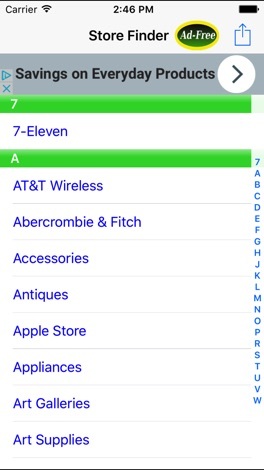 This cool app can help you find all the popular stores near you, including: 7-Eleven, Abercrombie & Fitch, Albertsons, Apple Store, AutoZone, Banana Republic, Barnes & Noble, Bed Bath & Beyond, Best Buy, Big Lots, Burlington Coat Factory, Costco, CVS, Dollar Tree Store, Foot Locker, GameStop, Gap, Home Depot, J.C. Penney, Kohl's, Lowe's, Macy's, McDonald's, Michaels, Neiman Marcus, Nordstrom, Office Depot, OfficeMax, Old Navy, PetSmart, Radio Shack, Raley's, Rite Aid, Safeway, Save Mart, Sears, Sherwin-Williams, Staples, Starbucks, Target, Toys "R" Us, Trader Joe's, Valero, Verizon Wireless, Walgreens, Wal-Mart, Whole Foods, Williams-Sonoma, and many more! 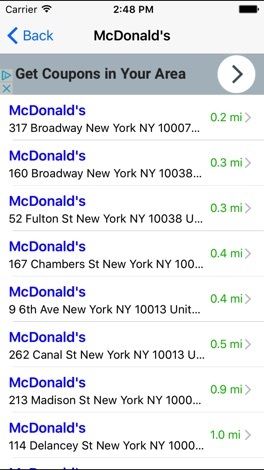 This app quickly identifies your location and lets you choose the nearest store. When you select a listing, you can see the store's location on the map, the address, telephone number, and the distance from where you are. 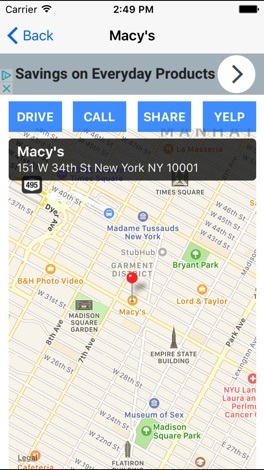 You can also call the store directly by tapping on the phone icon on your iPhone. Listen to 98.3 The Coast on your iPhone, iPad or iPod Touch thanks to this FREE Application! Never miss your favorite shows like Jonny & Meagan Mornings, Sarah, Zack, Steph, Rick Dees or Ryan Seacrest again! Keep Today’s Best Mix with you wherever you go outside of Southwest Michigan!